Stay just ten minutes from bustling Waikiki at , while feeling a world away inside. 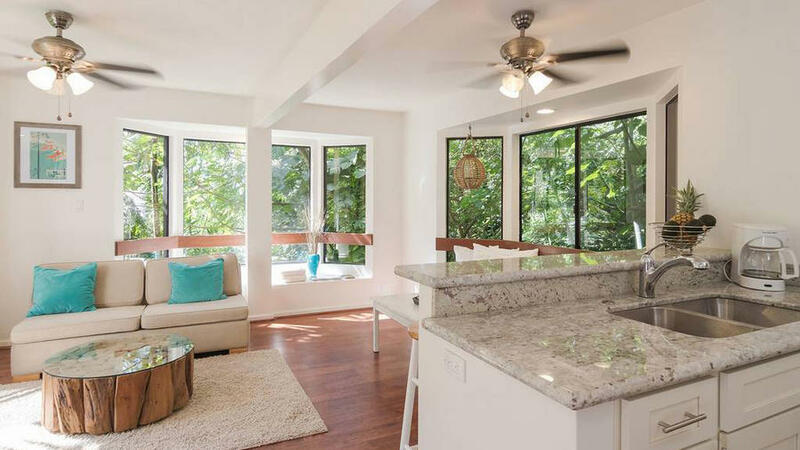 The modern yet cozy interior affords views of the lush Paololo Valley, and the location gives you close proximity to beaches, waterfall hikes, and more. feels like you’ve stepped into the pages of a magazine. 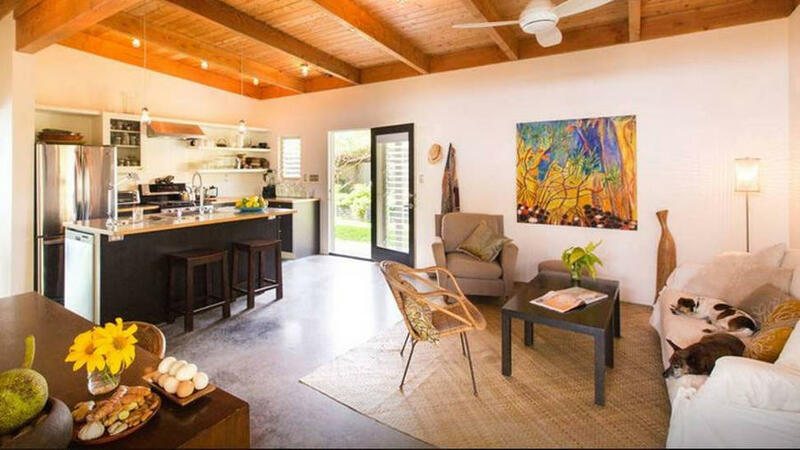 Aside from the modern loft style, the rental is located at the Seaview Epicurean Waterfarm, giving guests access to non-GMO organic gardens, delicious purified drinking water, and a serene setting during your visit. 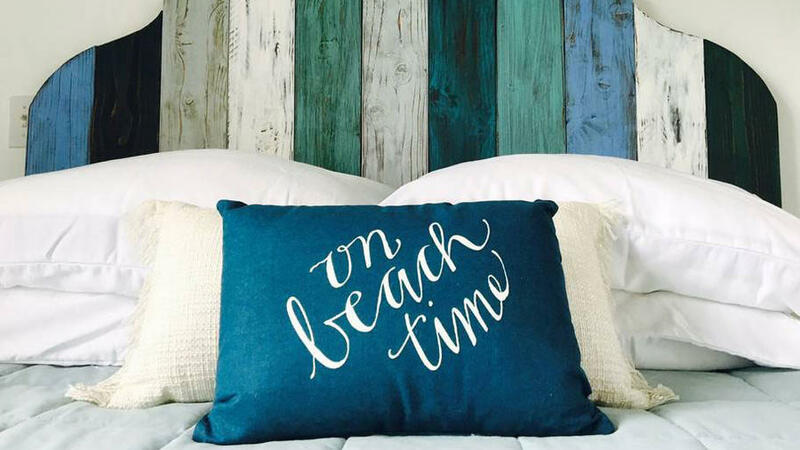 Embrace the aloha spirit in for four. Tucked away in a private, family-friendly neighborhood, it offers a wide range of amenities so you can really feel at home. See amazing views from 1,000 feet up in , with a surrounding tropical garden and sights that include ocean views and exotic landscapes. The cottage is also just minutes away from beaches, sea excursions, galleries, coffee farms, and more to make the most of your stay. 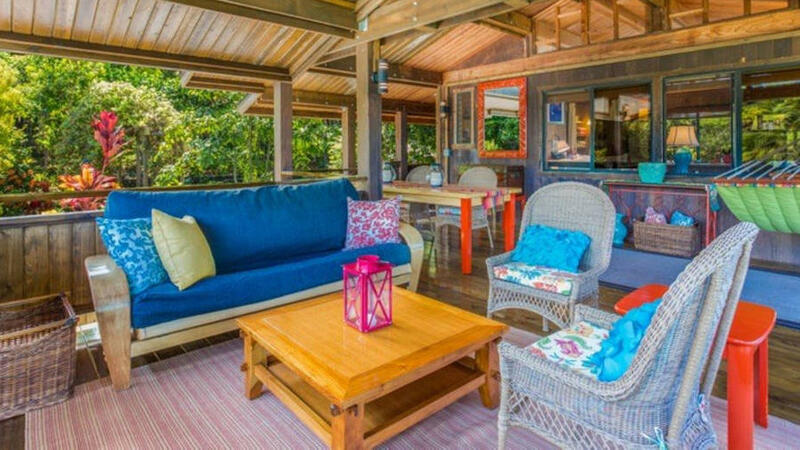 Discover a Hawaiian hideaway at the . 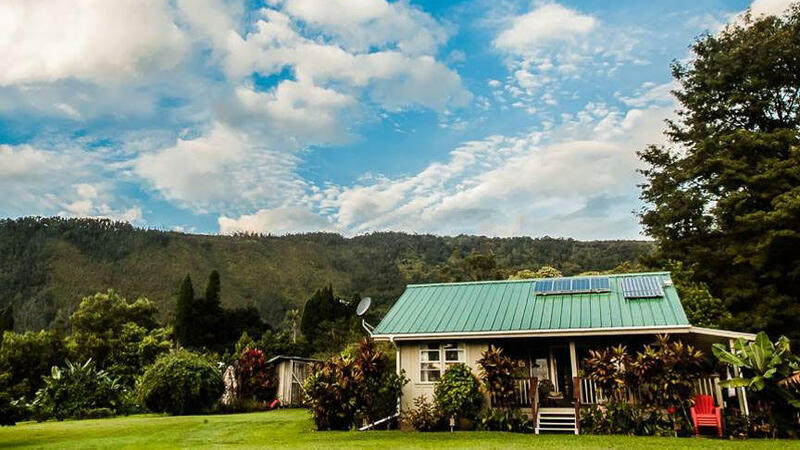 The cozy Airbnb is located on 8 acres for you to explore, with walking paths, exotic flowers, and fruit trees all on the property. It’s also located near Hawai'i Volcanoes National Park if you’re looking for more of a hike. Swing among the trees at . 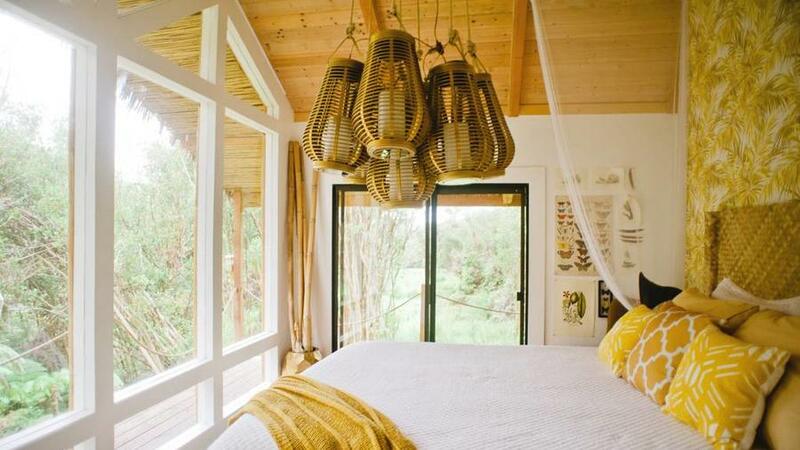 Hammocks overlooking the jungle, stained glass windows, and tropical wood give this stay an exotic vibe. 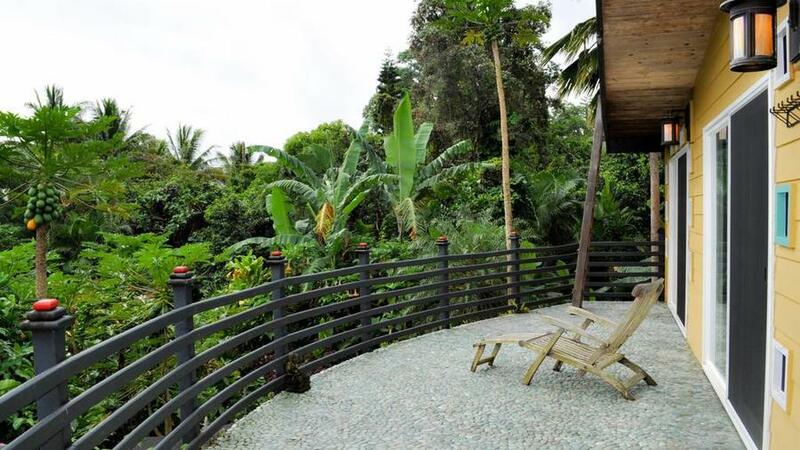 Plus, guided lava walks and black sand beaches are just minutes away.